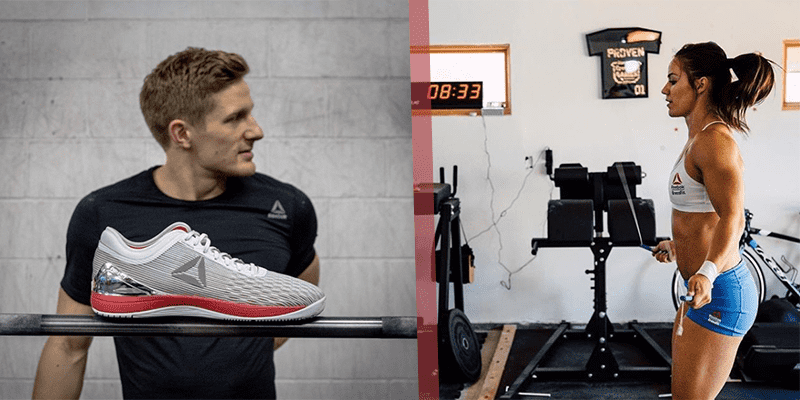 Brent Fikowski: "The Reebok CrossFit Nano 8 Flexweave are an absolute game changer!" 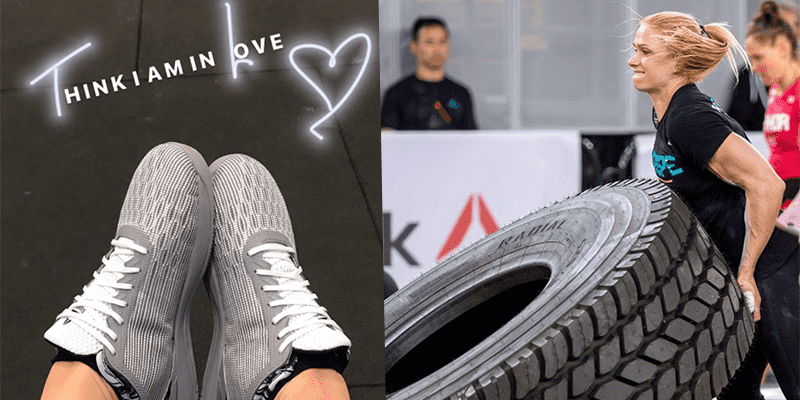 Combining the comfort and performance of the Nano 6 with the support and lifting capabilities of the Nano 7, the Reebok CrossFit Nano 8 Flexweave is, quite simply, a refined and excellent training shoe. 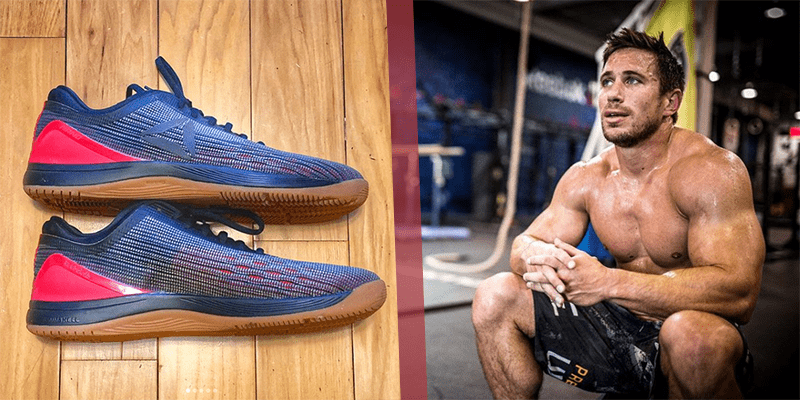 The latest iteration adds many new advancements and details in order to create a flexible, breathable, adaptable CrossFit shoe that is also incredibly stable for barbell work as well as WODs and endurance sessions. New colours – Which style would you choose? 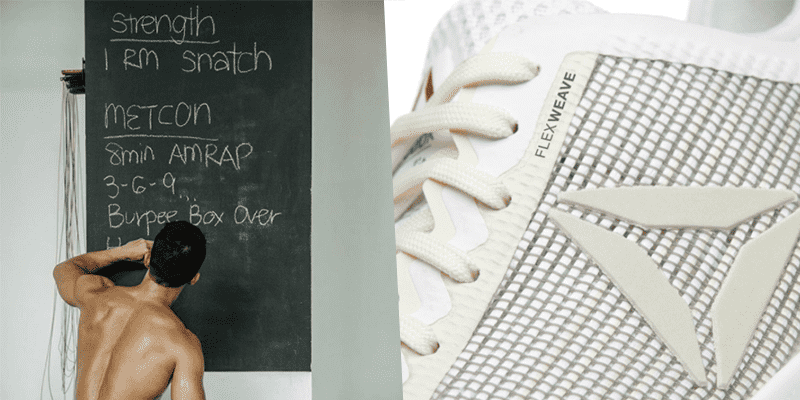 Flexweave is the latest landmark technology from Reebok. The material enables a revolutionary upper boasting a coveted balance of lightness, durability, fit and stability. Reebok Flexweave interlocks strands of fibers into its open figure-8 construction in order to create a single unified surface. Specially tailored zones provide an improved fit and performance when and where you need it most because the material can be altered to provide areas that are more flexible and others that are more rigid. Flexweave technology will keep your game flexible and excellence across a broad range of exercises. The weaves are different from the previous model as they run from heel to toe. This helps them to flex naturally with the movements of your feet. Another change to the upper is that it is also separated at the ankle from an internal booty more similar to the design of the Grace TR. This creates a cushioned collar that separates your ankles from coming into contact with the Flexweave texture and creates a secure and locked in feel. This makes them the most comfortable and responsive Nano that I have ever worn and trained in. One advantage of the Flexweave upper is the way that it hugs your foot and offers great comfort for workouts. 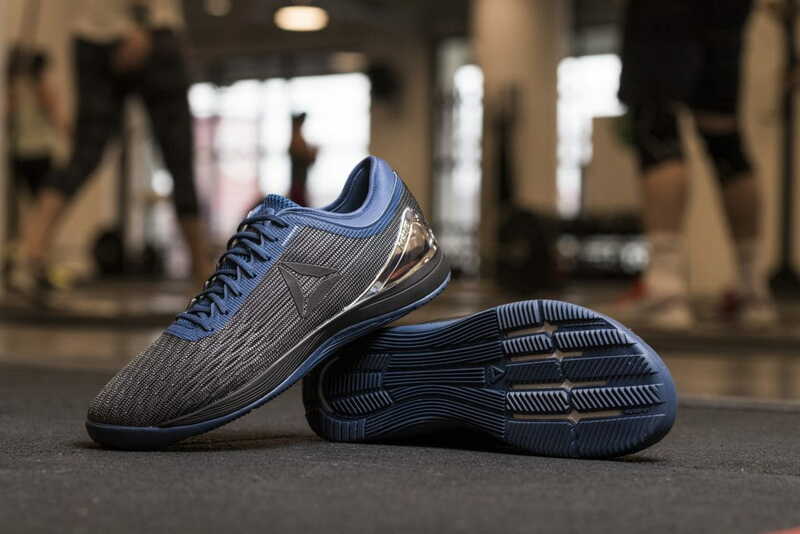 The shoe also feels light, allowing you to move quickly and confidently during WODs, runs and lifts. Part of the reason why the Nano 7 was stiff was from the combination of the midsole and Nanoshell midsole wrap. A single, stiff density midsole occasionally made the shoe feel like it was working against your foot, rather than with it. Previous Nano’s were so successful was because they all used dual density midsoles. This combined softer, more flexible CMEVA in the forefoot for jumping and running and stiffer CMEVA in the heel for a stable base for barbell work. The Reebok CrossFit Nano 8 Flexweave also uses a dual density midsole and improves upon these previous models in order to provide an excellent platform for solid lifting and quick explosive movements. 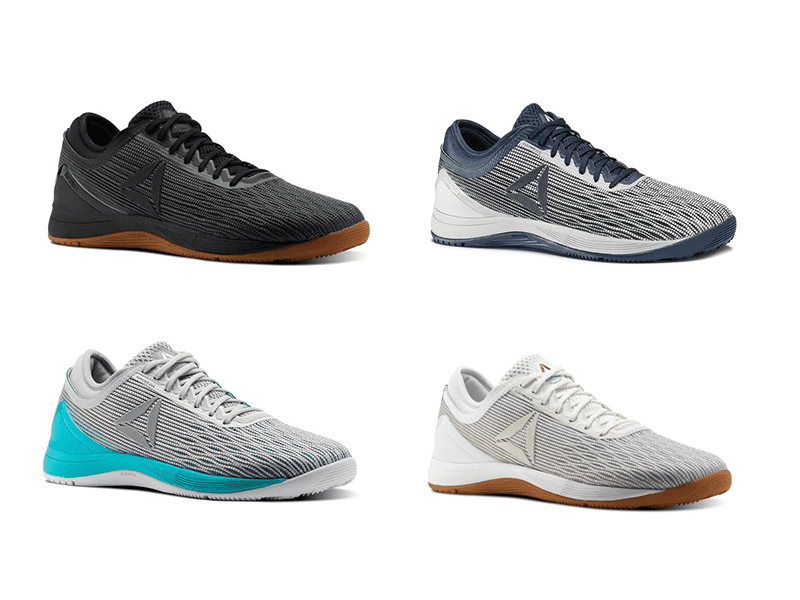 With the improved flexibility of the upper on the Reebok CrossFit Nano 8 Flexweave, one question I had in my mind was whether or not it would be able to offer the same support, base and stability for lifting as the Nano 7 (or even the Nano 6 for that matter)? The tread is the same as the previous model, but the material is softer and more flexible. This gave me more grip for short sharp movements (think bar facing burpees) and trail running over rougher ground. The insole is slightly thicker, which provides more comfort and cushioning for your feet. This detail is helpful for giving your feet extra support for running and jumping. Another big advantage of the Flexweave / internal booty upper combination is that it stops your feet from ever overheating. These are some of the most breathable training shoes I have ever worn. Even in the depths of winter a long, tough WOD can seriously warm up your feet and make them overheat. Take advantage of the breathability and ventilation that The Reebok CrossFit Nano 8 offers. Check out Dan Bailey post workout with his personally customised training shoes. 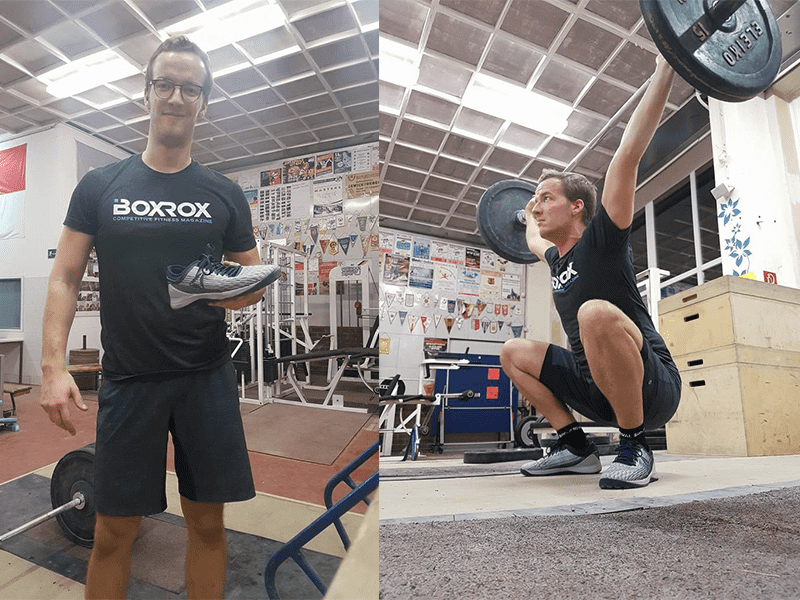 Read what Clemens – Account Manager at BOXROX – thought of the Reebok CrossFit Nano 8 Flexweave. “As someone who did triathlon and running for several years, I have a good understanding of how a shoe should feel for running and how the sole should be formed to provide optimum power output. Check out how this Canadian former CrossFit Games winner has put her own personal style into her design. What colours would you choose? Get your Nano 8 Flexweave now!